Welcome to the Apollon Hotel! 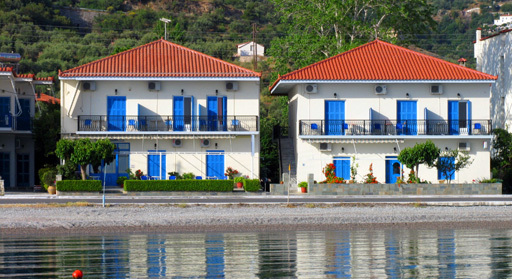 The picturesque village of Tyros is made up of three settlements: Sapounakeika, Paralia Tyrou (the beach) and Tyros itself. Visitors in the summer enjoy our delightful beaches and crystal clear waters while those at other times of the year can explore the traditional villages nearby and beautiful countryside in the hills overlooking the beach. Our small friendly hotel is right on the beach but also has views of the spectacular Parnon mountains. It’s ideal for relaxing family holidays as well as for nature lovers and water sports enthusiasts.